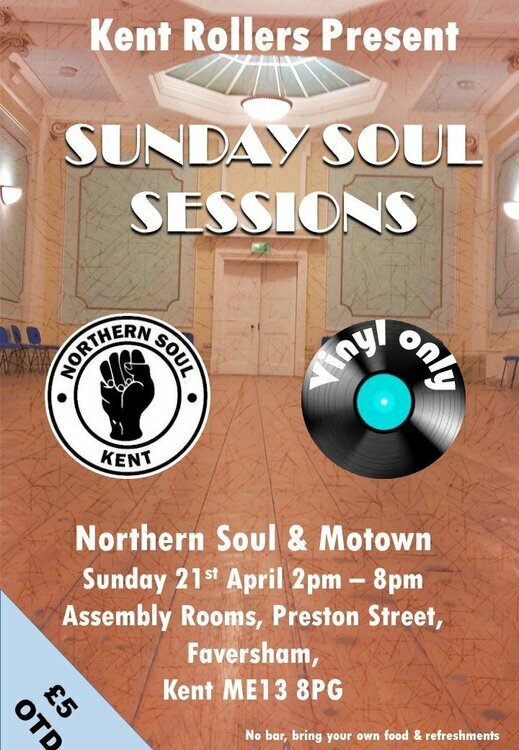 KENT ROLLERS invite you to an afternoon of Northern Soul, Motown and Crossover soul music in one of Kents most iconic buildings. Our vinyl only DJs will soon have you up dancing on this superb wooden floor. Located a few minutes walk from the station and plenty of town centre car parking. £5 on the door. Bring your own refreshments as no bar.